When I first graduated from college, I was a sales trainer for a year, coaching organizations on how to get better results. Actually, I taught them “relationship selling” techniques, and then to the contrary, hard-closed the crap out of them trying to get them to attend a Brian Tracy seminar I was promoting. One of the things I learned from that experience is that you should always be working on your game no matter what field you are in. Especially if it is sales! Being a retail sales associate is very tough. In the sleep shop environment, you sit in a store all day long waiting for a customer to come in. Once they are there, you have all kinds of pressure to close that deal because it might be the only person you see during your shift and you don’t want to post a big goose egg for the day’s report. 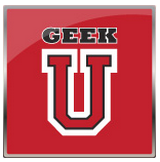 It is very easy to get down on yourself and lose enthusiasm for what you are doing in that kind of environment, which is why I want to share Sleep Geek University with you. If you learn only one or two things that can help you sell more mattresses, isn’t it worth the time? You are always moving in a direction, either improving or getting rusty, but you are never standing still. Which direction do you want to be going? How about your people? If you don’t sell at retail, would it benefit you to know what RSAs know? Tired of having to create your own content for sales meetings or discussions? Why not use material that has already been created? Want to learn how to sell the emotional aspect of a mattress instead of the common focus on product, price, or promotion? Do you have some turnover in your store? Wouldn’t it be nice to sit the new people at a computer for a day and have them work their way through our course? Want some free Sleep Geek swag when you graduate? Watch this video for more reasons. I don’t care if you agree with our approach to training. Heck, show some of the videos and tell your staff how wrong we are – but at least use the school we have created to your benefit. This is the only professional development course of its kind that is FREE to anyone that wants to learn. Check it out and see if it can help you or your team get just a little bit better, and maybe even make a whole lot more money! We used to say sales people that sell without referrals have very skinny children. Visit this link to our recent Sleep Geek blog and see what some of our graduates have to say about their experience. Mark – always a creative force since I’ve known you. Not sure how you do it over and over and over. Great stuff. Thanks! – Dan. Thank you Dan, that is very nice to hear. It is easy, just follow the stuff that you love or that really gets you fired up in a bad way, there is usually something good in the middle of it somewhere.